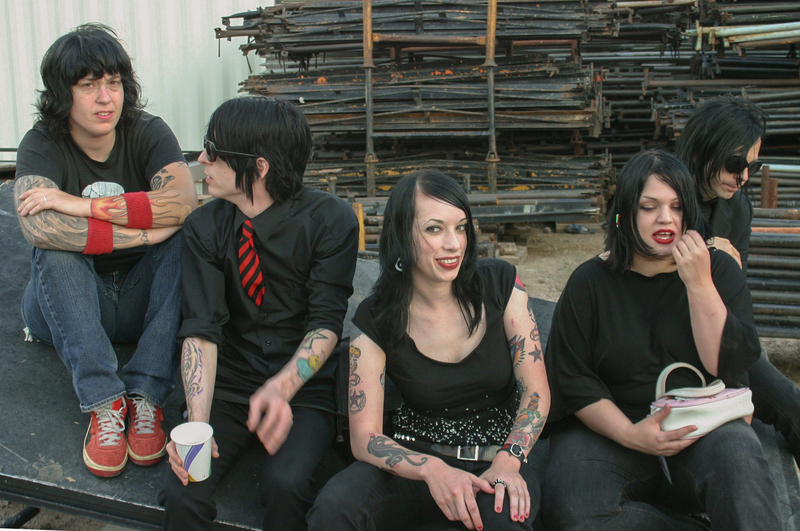 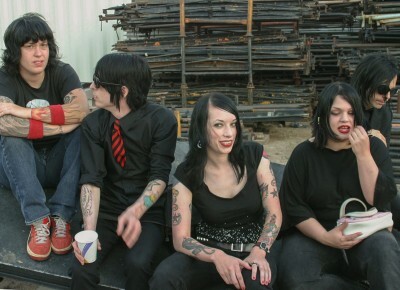 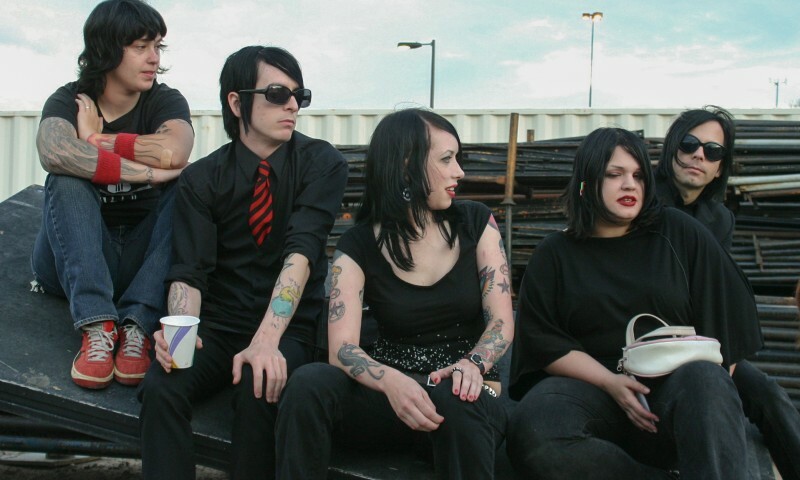 (L–R) Beth (drums), Kyle Lime (bass), Rickey Lime (guitar), Jessicka Fodera (singer) and Christian Hejnal (guitar) of Scarling. 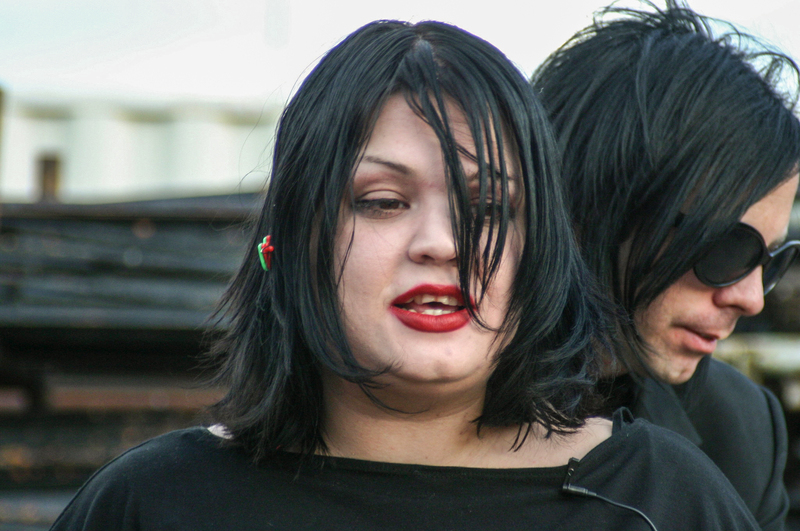 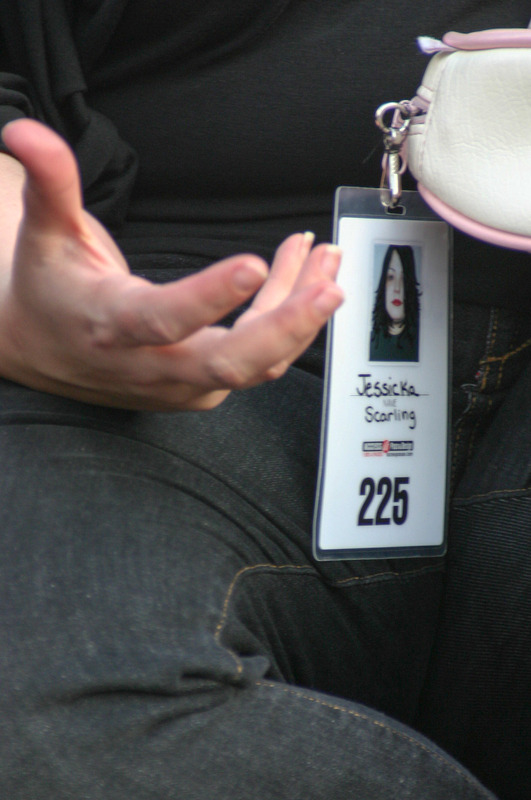 Jessicka Addams of Scarling at The Cure’s Curiosa Festival at USANA Amphitheater in 2004. 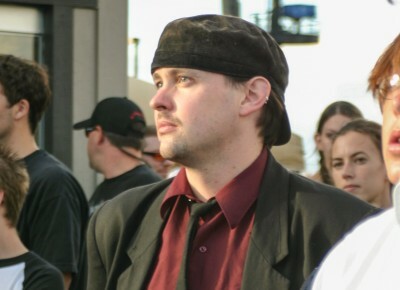 Rickey Lime of Scarling at The Cure’s Curiosa Festival at USANA Amphitheater in 2004. 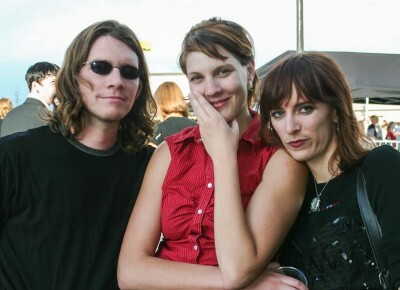 Ryan Michael Painter, Monica Porshel and Rebecca Vernon ready at the USANA Amphitheater. 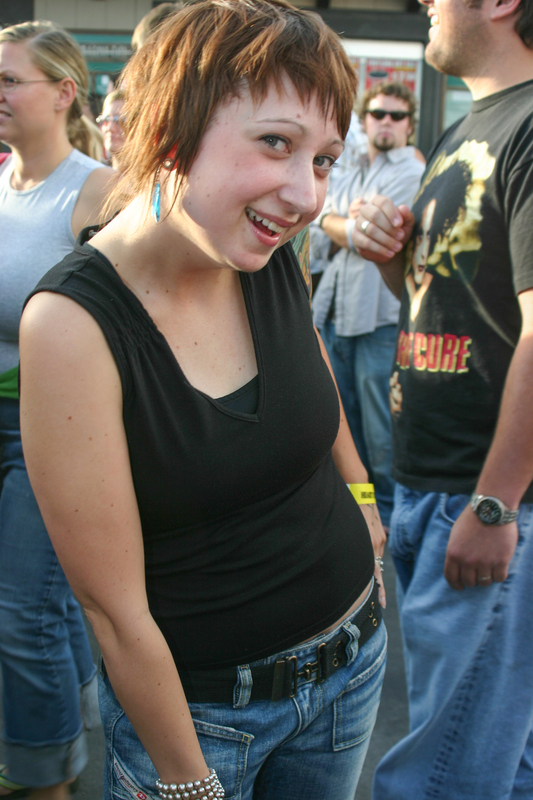 The Cure’s Curiosa Festival at USANA Amphitheater in 2004. 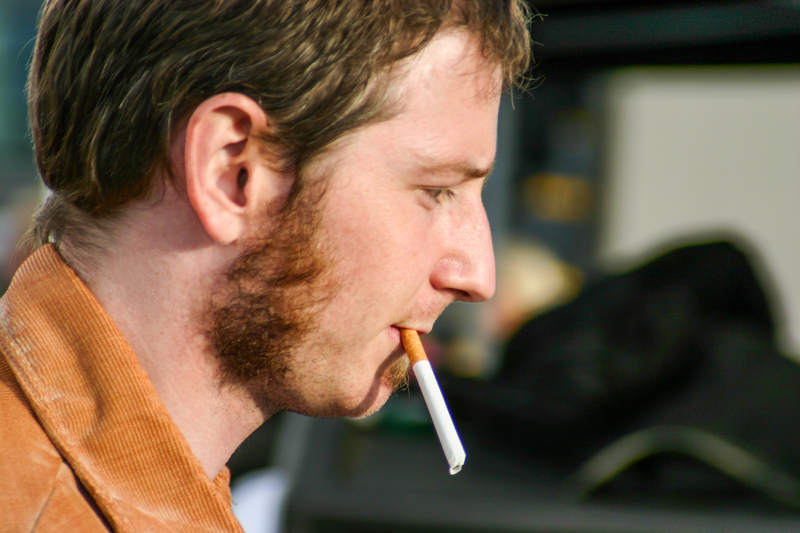 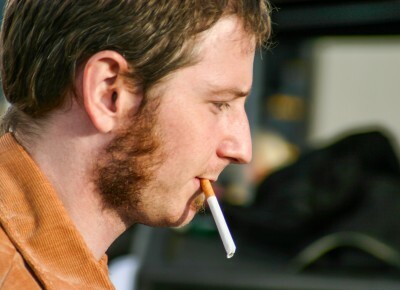 Paul Butterfield waiting and smoking. 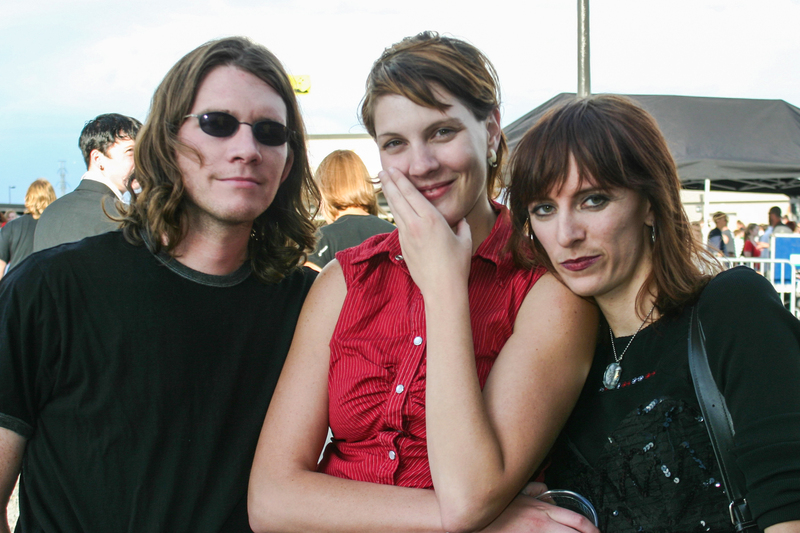 Rebecca Vernon, Paul Butterfield and Kybir enjoying The Curiosa Festival. 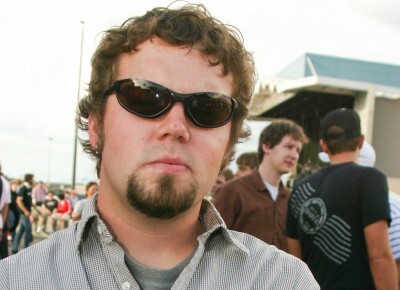 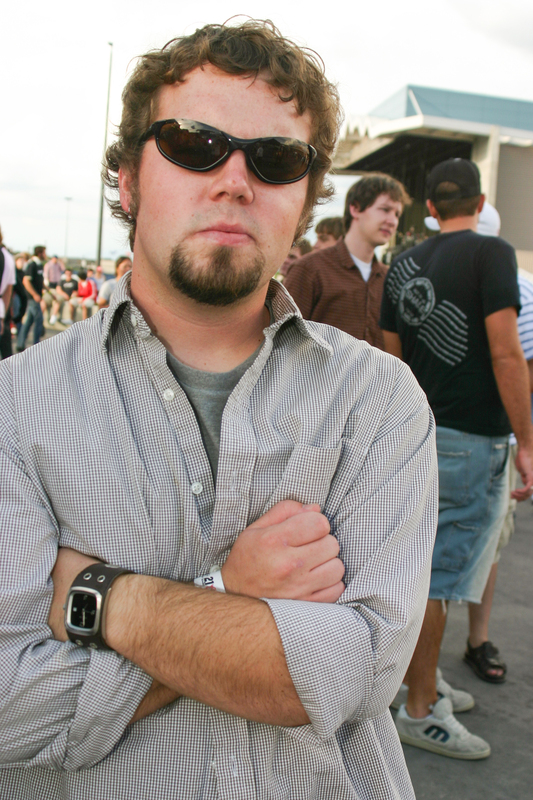 SLUG friend Greg is ready for The Cure’s Curiosa Festival at USANA Amphitheater in 2004. 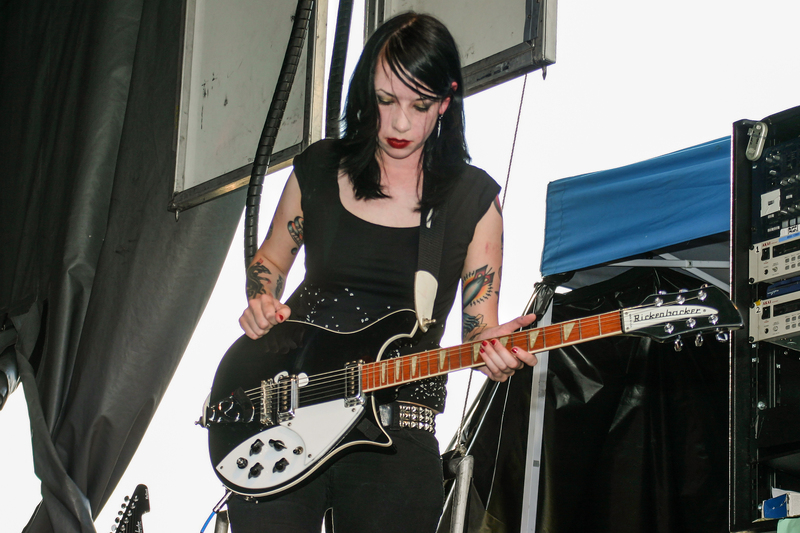 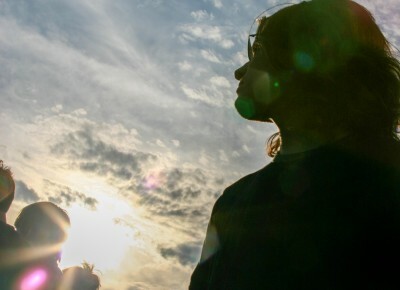 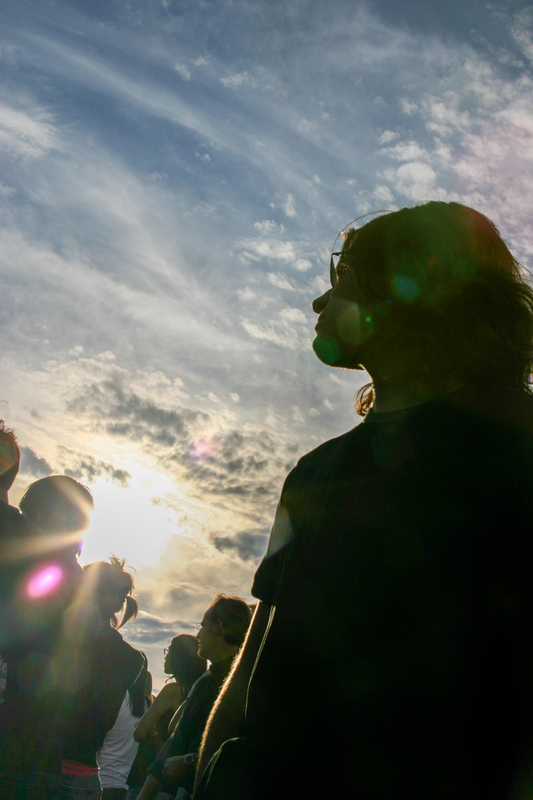 The Cure’s Curiosa Festival featured almost six hours of music from seven bands that included The Cure, Mogwai, The Rapture and Interpol among others. 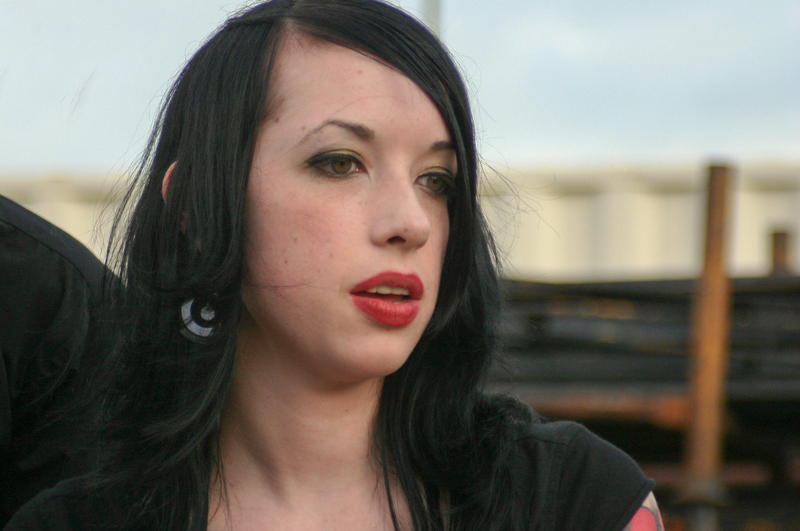 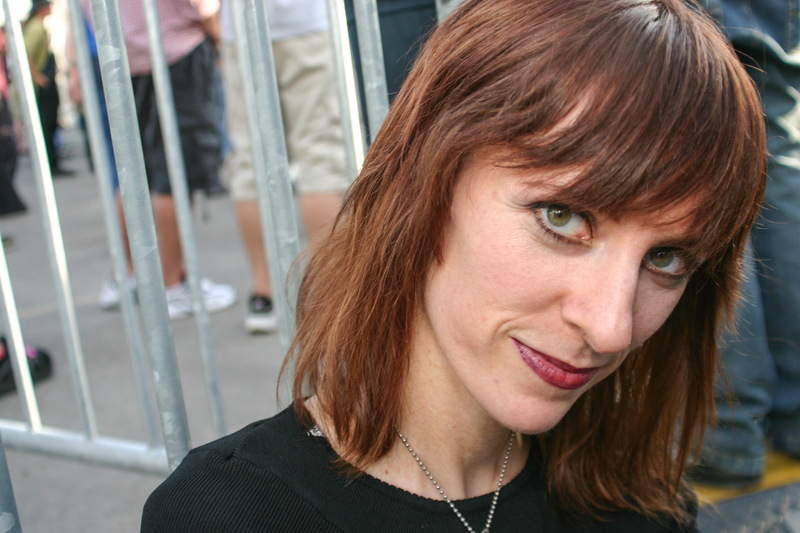 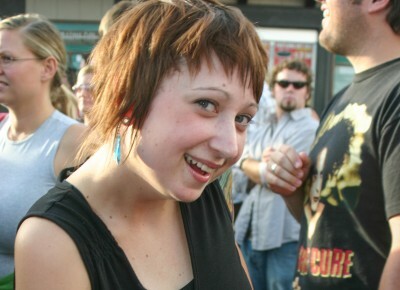 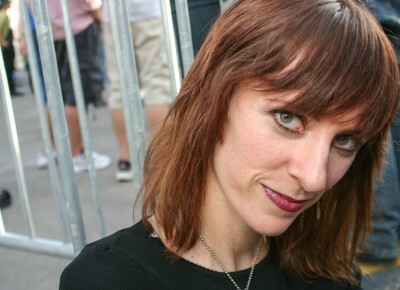 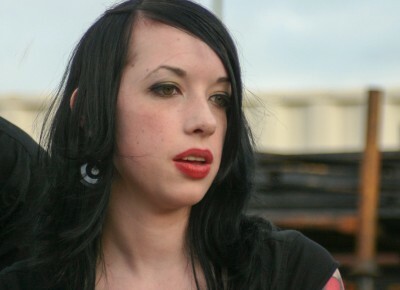 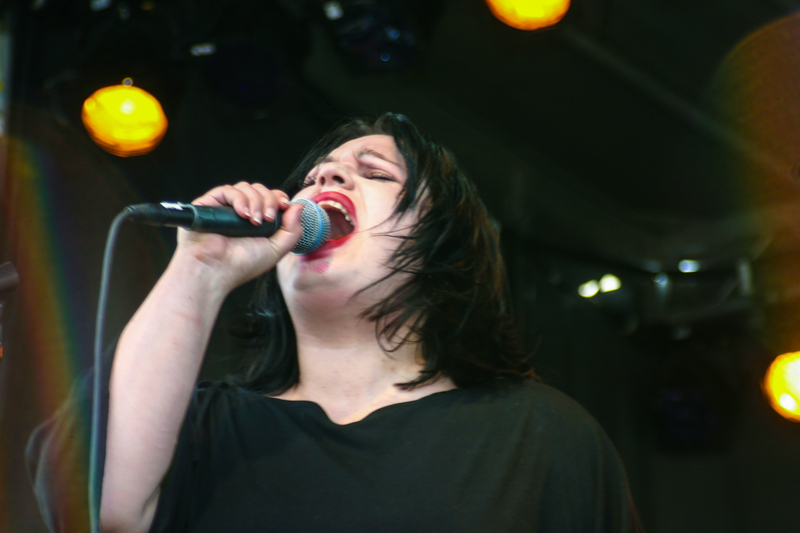 SLUG’s Rebecca Vernon at The Cure’s Curiosa Festival at USANA Amphitheater in 2004. 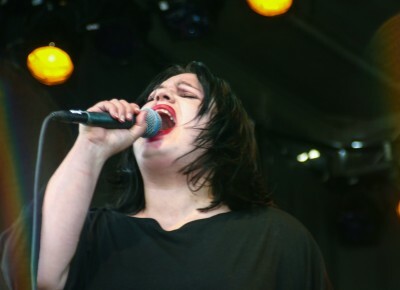 Perfect day for The Cure’s Curiosa Festival at USANA Amphitheater in 2004. 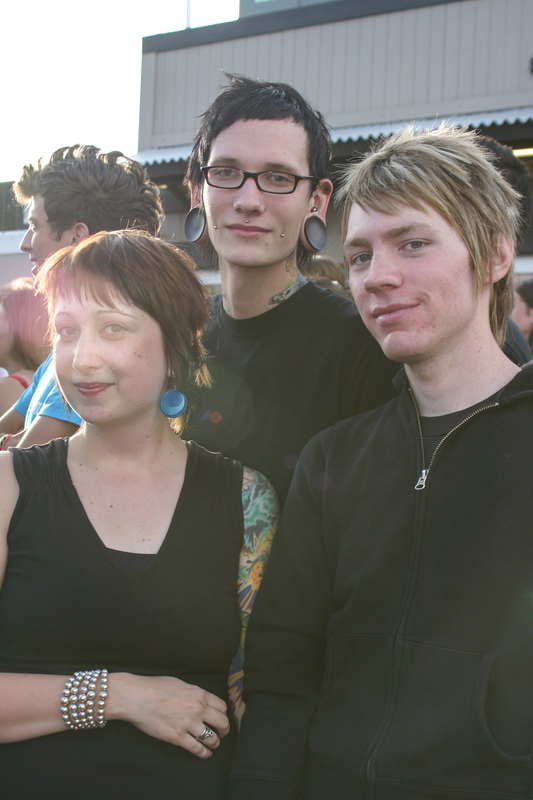 Shannon Froh at The Cure’s Curiosa Festival at USANA Amphitheater in 2004..
Shannon Froh and friends at The Cure’s Curiosa Festival at USANA Amphitheater in 2004. 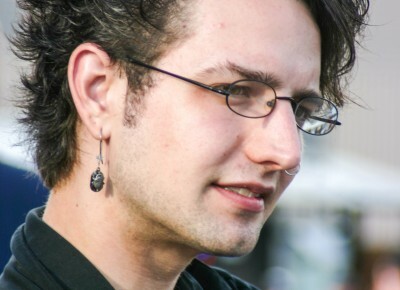 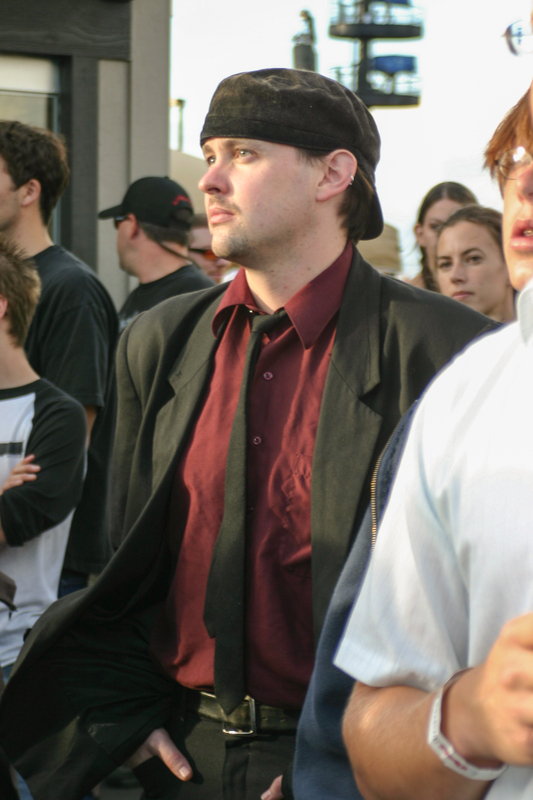 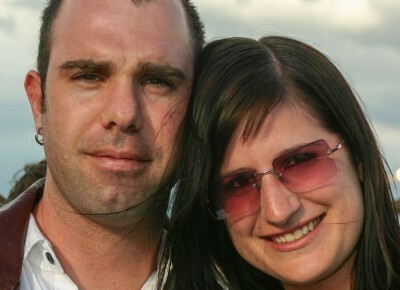 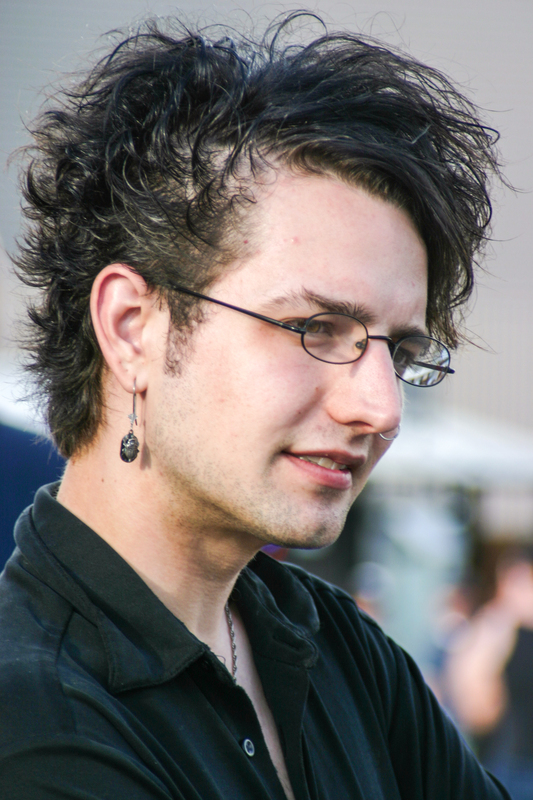 All dressed up at The Cure’s Curiosa Festival at USANA Amphitheater in 2004. 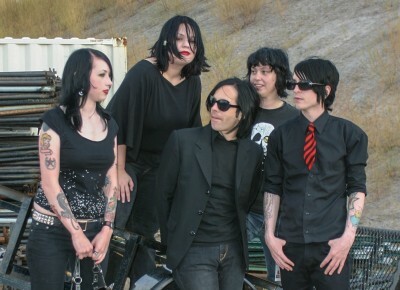 Los Angeles–based Scarling formed in 2002. 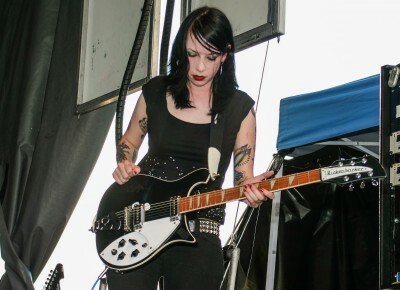 Scarling’s flush of discordant buzz that recalls My Bloody Valentine, Sonic Youth and The Cure won over at The Cure’s Curiosa Festival at USANA Amphitheater in 2004. 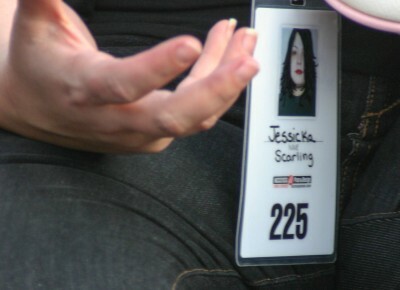 Jessicka Fodera, headmistress of Scarling at The Cure’s Curiosa Festival at USANA Amphitheater in 2004. 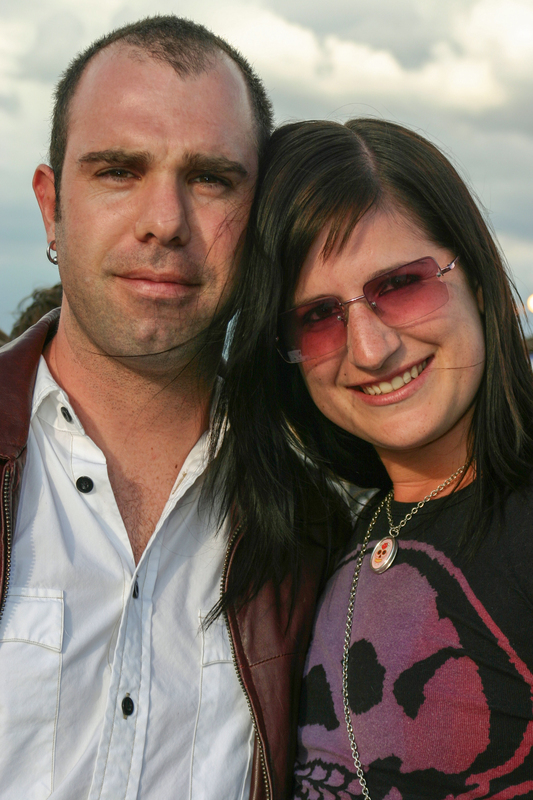 Backstage with Scarling at The Cure’s Curiosa Festival at USANA Amphitheater in 2004.